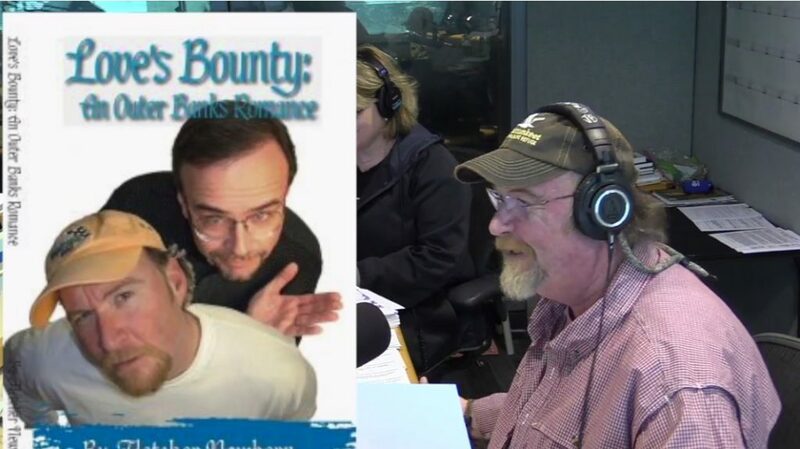 Last year, John Boy and Billy from The Big Show on the radio played along with YourNovel.com by starring in the personalized romance novel “Love’s Bounty: An Outer Banks Romance.” It did indeed star John Boy and “Billemena.” They had a blast as you’ll hear in the audio link below including John Boy’s admission that he shared it at “the duck camp.” Say whaaat? This year, the gang had fun yet again talking with Kathy about YourNovel.com’s golf fantasy title, “Sandhills Fore-Play,” and the Mardi Gras book, “Let the Good Times Roll” – with Kathy reading a little sample aloud near the end of the interview – and lots more concerning this most “unique-est” gift for Valentine’s, according to John Boy (Sugar Dumplin’). Listen in below. You’ll want to hear the closing laughter when John Boy suggests Kathy give someone a kiss from him. Say whaaat? This entry was posted in On the Radio, personalized romance novel and tagged John Boy and Billy, The Big Show. Bookmark the permalink.